Posted on December 18, 2018 by Wise Eats. In the pilot episode, find out what Wise Eats is all about and how it can help you achieve a greater level health and personal success. (Credit for the musical intro blurbs goes to Joe Rogan and Mike Dolce). What’s up Wise Guys and Gals? Welcome to the very first episode of the Wise Eats Podcast, where we’re dishing up recipes for fitness, success, and life. 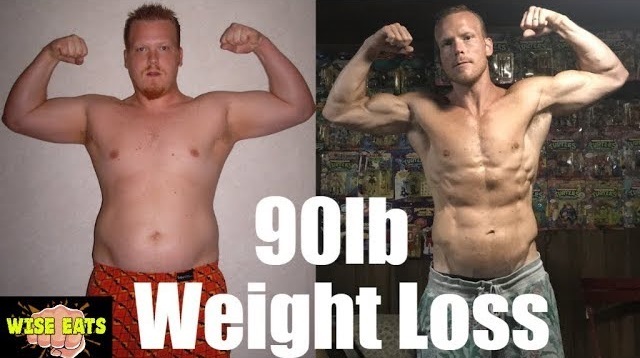 My name is Wes Wise, and back in 2009, I decided to change my life and lost 90lbs. My full backstory and exactly how I accomplished this are available at Wise-Eats.com/MyStory and will also be discussed in episode 2. For now, to make a long story short, I have spent the last 9 years completely transforming my health and fitness. I went from being overweight, tired, sick, and lazy to being healthy, motivated, energetic, and in excellent physical shape. For years, I sabotaged my health by eating junk food, drinking soda, smoking cigarettes, and abusing alcohol, with no regard for my well-being. After ballooning up to 270lbs with some of the worst lifestyle habits you could imagine, I literally had to start from the bottom and work my way up when it came to my health. Now, 9 years later, I want to share my story to help others in a similar situation. Since this is the first episode, I want to spend a few moments giving you some history and details on what the show is all about, so you know what to expect going forward. Throughout high school and into my mid-twenties, I didn’t play sports. The most athletic thing I did was compete in a backyard wrestling organization known as the Back Yard Brawl. I know, it sounds crazy, but I grew up a huge pro wrestling fan. 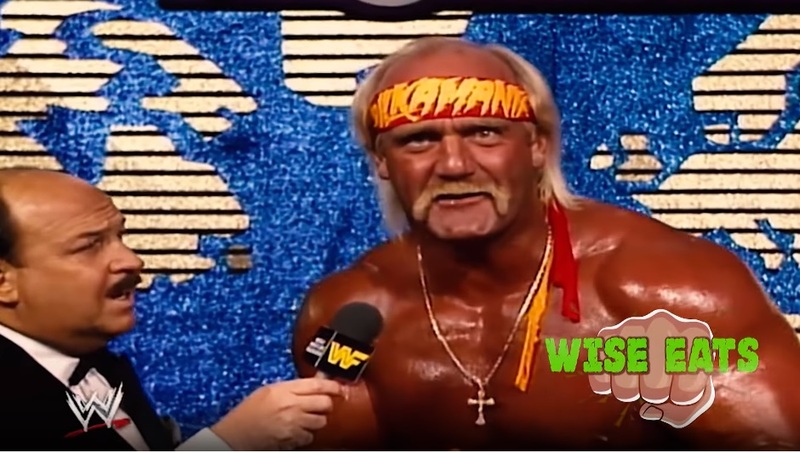 As a kid, I was a Hulkamaniac through and through. 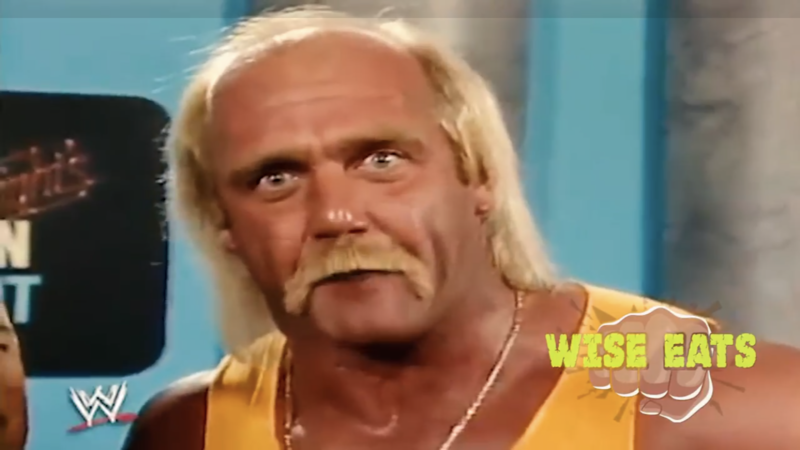 I wanted to train, say my prayers, take my vitamins, and have 24-inch pythons just like my hero. I would imitate my favorite superstars constantly and have fantasy wrestling matches with my brothers, my friends, even by myself. At one point, I published my own wrestling newsletter with over 6,000 subscribers, which is pretty impressive for a 13-year old I think. So, when a good friend of mine, Jose Rodriguez, started the Back Yard Brawl in 1999, of course, I was hooked immediately. And for a bunch of high schoolers, it was actually a pretty legitimate organization. This was not the janky backyard bbq wrestling you may have been exposed to in the past. Jose built a homemade wrestling ring in his parents’ backyard, recruited talent, choreographed matches, and promoted events. He would put on live wrestling shows equipped with DJ’s, live music, foamy keg beer, pyro, and entrances. At first, I was just a fan, then a referee, and in 2006, made my debut as a wrestler. I never truly thought I would ever be a pro wrestler, but the idea of performing in front of a live crowd was a huge boyhood dream, and an opportunity I couldn’t pass up. From 2006-2016, I wrestled in six of these annual events under the name “Wes Daddy”. I can’t say I love that nickname, but it evolved naturally from my friends and over the years I got stuck with it. 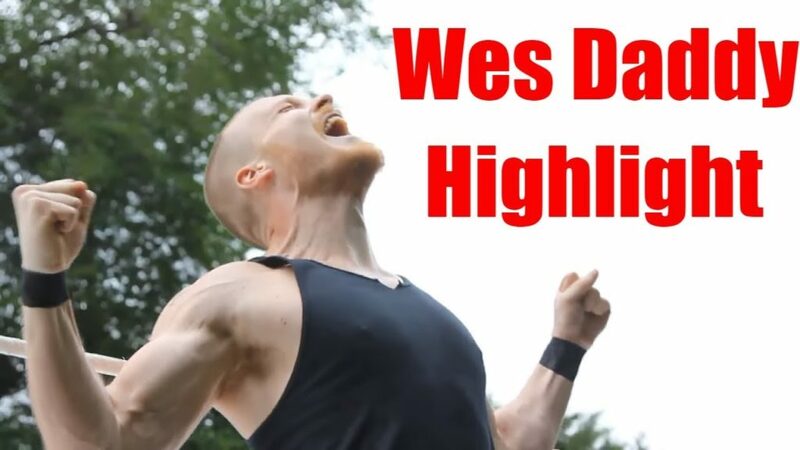 So, in some of my YouTube videos, you’ll hear me refer to myself as Wes Daddy. It’s just my backyard wrestling persona. I don’t actually think I’m anyone’s daddy. Maybe one day when I actually have kids, but for now, Daddy’s just a nickname. Backyard wrestling was super fun and a major adrenaline rush. Aside from one freak accident resulting in a broken leg, no one was ever seriously injured. The parties were always a blast, and the Back Yard Brawl became infamous in Mount Clemens, MI. Wrestling in front of a crowd also inspired me to get in better shape. I remember looking back at the video from my debut in 2006 and hating the way my body looked. This motivated me to lose weight for the 2007 show and shape up even more for future shows. You can see my physical transformation through wrestling along with a complete archive of BYB matches, highlights, and videos over at Wise-Eats.com/BYB. In August 2016, BYB put on its final show, where I wrestled my last match. And where BYB ended is where Wise Eats begins. At the end of the last BYB event, two of the wrestlers, Lord Deezus and Justin Charge, launched a YouTube show called The Following Announcement. It’s the story of a bunch of retired backyard wrestlers who are now trying to make it in the real world. 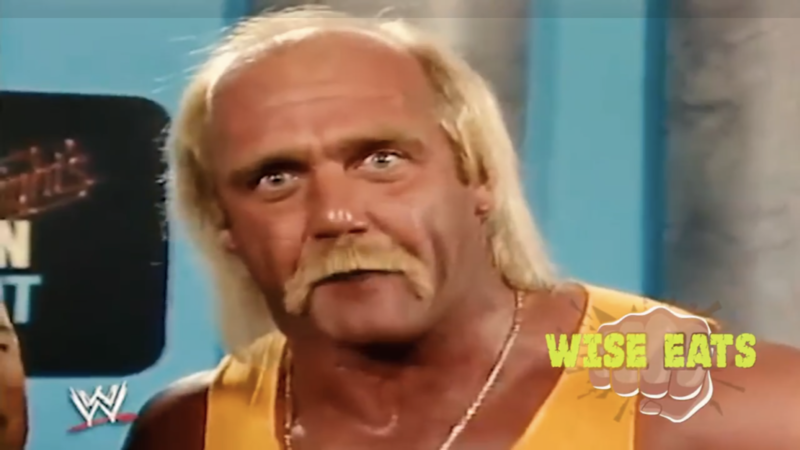 If I had to compare it to something from TV, I’d call it pro wrestling mixed with a live-action Beavis and Butthead cartoon. I admit the show is not for everyone. It’s controversial and may be inappropriate for some viewers. Even I watch sometimes and think to myself man these guys need to Wise Up! But, other times it’s also very clever, funny, well-produced, and entertaining. One day, we’ll take a deeper dive into the show and get some behind the scenes info. What’s important now is the producer of the show, Lord Deezus, wanted me to have a segment on his show. We decided to do a healthy cooking show called Wise Eats since fitness and healthy eating were already a major part of my life. Through the Following Announcement show, we created comedic, wrestling-inspired cooking segments and skits featuring some of my favorite healthy recipes. This provided me with an outlet to share my passion for food, fitness, and desire to help others. All of the Wise Eats videos are available at Wise-Eats.com/Recipes. There you can also find links to the Following Announcement show and its complete episode guide. If you enjoy watching, please don’t forget to click thumbs up on the videos and subscribe. My cooking segment on The Following Announcement is a fun piece of entertainment that we do for the show, but the recipes are real, the philosophy is real, the results are real. I’m sharing real recipes, viewpoints, and techniques that I use every single day to stay in excellent physical and mental shape. After two seasons of filming Wise Eats for TFA, I decided it was time to take the show to the next level. I realized this wasn’t just a spin-off cooking show, that it could be its own brand. I knew I had a real story to tell, and Wise Eats was how I was going to do it. That’s when I decided to start up a website, YouTube channel, and podcast. 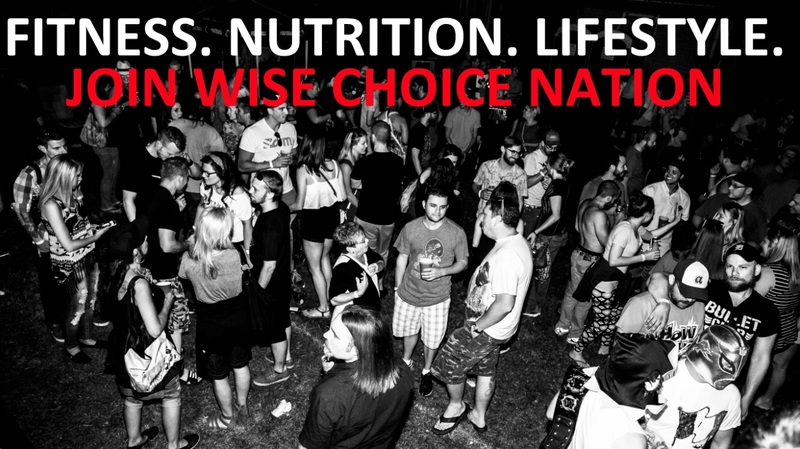 Wise Eats is more than food; it’s food for thought. It’s a mindset: It’s about making healthy choices, developing positive habits, living an optimized lifestyle, and setting an example for your peers. It’s a mentality. It’s about strengthening your body and mind. It’s about eating smart but also making Wise choices in all aspects of life. But I must give a disclaimer. I am not a licensed personal trainer or nutritionist, yet. I’m a normal guy who lost 90lbs, got in great shape, and learned a ton along the way. Every day, I’m educating myself with some sort of fitness related material, whether it’s reading, a podcast, watching videos, coaching others, or experimenting on my own body. I’m extremely passionate about the role that health and fitness play in achieving success, and want to provide inspiration for you to develop a similar attitude. The primary goal of Wise Eats is to help people improve their well-being so they can pursue their ultimate mission in life. I want to motivate you to ask yourself, “Is This a Wise Choice?” Is this choice going to make me better? Is what I’m doing going to help my body, my mind, my family, my passion? Is it going to elevate and bring me toward something greater or is it going to drag me down? Whether it’s diet, exercise, performing on the job, hanging with family, pursuing a passion project, or whatever else, I want you to be at your best. That’s what this show is all about. I want you to live the life you were meant to live by empowering you to improve your performance, well-being, and fitness. Your health is your greatest asset, and without it, you are nothing. I used to be 90lbs overweight, eating the worst foods imaginable on a daily basis, abusing alcohol, smoking cigarettes, and being content with a shortened lifespan. I used to actually tell people I didn’t plan to live past 40 with all the lifestyle-related choices I was making, and it was a reality I was entirely content with at the time. I was lazy, sick, unproductive, unmotivated, and not pursuing any passions in my life. But, I turned it all around by deciding to focus on my health. I wouldn’t be the man I am today if I hadn’t realized I was on a one-way path to nowhere, gotten serious about my health, and decided to make a change before it was too late. Don’t wait until it’s too late to get serious about your lifestyle habits. Don’t wait until you’re fighting sickness, relying on medication, battling a disease, or laid up in a hospital bed before you decide to make a change to better your health. Make a commitment to improve your lifestyle habits, and don’t let anyone or anything stand in your way, because no one else can do it for you. It’s entirely up to you. Hopefully, Wise Eats can help you along the way. After every episode, I want you to come away with something useful to maximize your potential. My promise is to deliver quality information that is authentic, entertaining, and positive. You’ll never hear me talk about something on the show that I’m not implementing in my own life. Just good tips you can apply to your own life immediately. Now, for some details on the structure of the show. In the beginning, I’ll be sharing my personal journey of fat loss and physical fitness. Each episode will have a specific message on something that made a major change in my life that I believe can impact your life, as well. Once I’ve delivered the most relevant aspects of my journey, I will turn the focus of the show onto others who can share inspiring stories of success and failure in the areas of health, fitness, and personal growth. In addition to motivating you, I see this as a journey of development for myself. Of course, I want to help you, but at the same time want to become wiser, more experienced, more of an example for my peers, and more able to help others. I will interview experts on the podcast to share their journeys and tips for making Wise choices. We will examine things that make them successful both in and out of the gym, their personal habits, favorite recipes, workout regimens, and much more! One unique segment I will also include on the show is a moment I like to call “This day in diet history.” As you’ll learn in episode two, I’m a big fan of journaling and have been doing so since my fitness journey began in 2009. I have recorded every meal, every day, for the last 9 years. During this segment, I will share my diet for that particular day a decade ago and compare with today’s regimen. This will give a glimpse into my personal life, illuminate the transformation I’ve undergone, and offer some nutrition tips in the process. I hope this peek into my history will give a humbling glimpse of my former self as well as inspiration for you to start positive habits in your own life. My initial plan is to release 2-3 episodes per month, but the goal is quality over quantity. Every solo episode will be thoughtfully prepared to provide the listener or viewer with as much value as possible. A YouTube video will be released with each episode that allows you to see me recording the show in person and providing a little entertainment in the process. 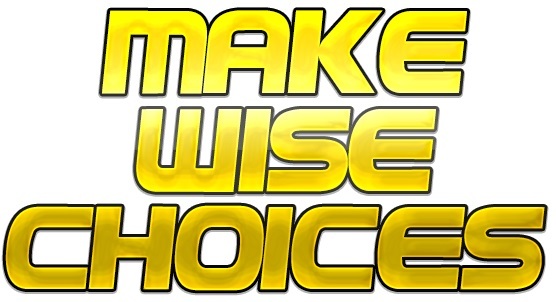 The newsletter, Wise Choice Nation, provides further details, additional content, Q&A, and more. Wise-Eats.com will be the home base for everything. So, that’s what Wise Eats is all about, and what you can expect from the show going forward. I want you to take control of your health, because once you have control of that, you control every aspect of your life. When you give your body and mind the raw materials it needs to perform at its best, you are capable of accomplishing anything. No matter what your goal is, Wise Eats will be providing useful tips that can advance you to the next phase of your journey. If weight loss is your goal and you’re not sure where to start, I encourage you to learn from my fat loss experience in episode 2, or by going to Wise-Eats.com/MyStory. If you’re already a fitness fanatic, we’ll be dishing out plenty of articles, recipes, tips, and interviews to help take your game to the next level. This is a fitness and nutrition show, but it doesn’t end there. It’s a show about success, business, love, achieving goals, finding your passion, realizing your potential, and improving your life! My physical transformation provided me with the willpower, energy, and focus to improve every aspect of my life. I became way more productive, finally graduated college, got married, and found a job that I loved, all while getting into the best shape I’d ever been in. Getting fit improved my way of thinking, sparked my creativity, and allowed me to undergo a complete mental transformation, as well. I was able to overcome addiction, anxiety, and depression through healthy lifestyle. I spent the first 26 years of my life burying myself in a deep hole with alcohol and junk food, but have finally escaped that pit of despair, and am ready to inspire the world with Wise Eats. Back in the day, I would’ve been too lazy to even listen to a podcast, let alone produce one. Now, I truly believe I’m on a journey towards helping others Wise Up like I did, and if this show helps you improve your life even 1% then it will be well worth the effort. This concludes the very first episode, and I can’t thank you enough for tuning in. In the second episode, we’ll dive deep into my 90-lb weight loss story and provide tips for you to achieve a similar goal. 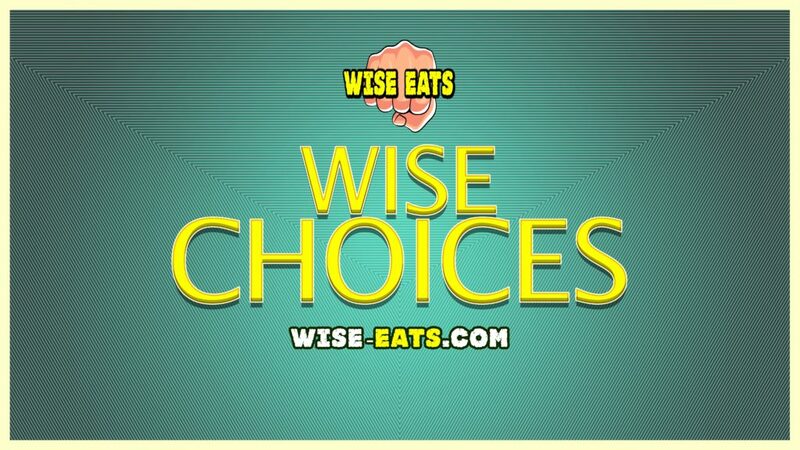 Be sure to check out Wise-Eats.com where you can connect with me and join Wise Choice Nation. There you will find show notes and links to everything I’ve mentioned in this episode. That’s it! I look forward to hearing from you, thanks for listening and, until next time, make Wise choices!